30 Hairfit pose presets for Cookie from RDNA. A full list of hairs with links to download/purchase is included in the read me file. Garrett (8 years ago) Inappropriate? basteldaniela (9 years ago) Inappropriate? shazz501 (9 years ago) Inappropriate? gloomy_liv (9 years ago) Inappropriate? caveninit (9 years ago) Inappropriate? Thanks so much for these! Hope you do a set for Mavka too! Debbies Dazzling Designs (9 years ago) Inappropriate? romi23 (9 years ago) Inappropriate? Thank you so very much!!! Love them all! Big hugs for you! 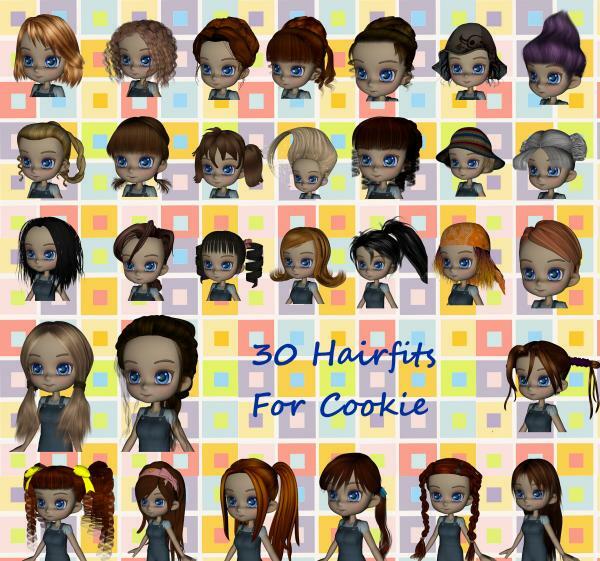 Nice large collection of hair fits for Cookie. Thank you.